A trip to the library has surely never been as interesting as it will be on a visit to the National Library of Valencia. 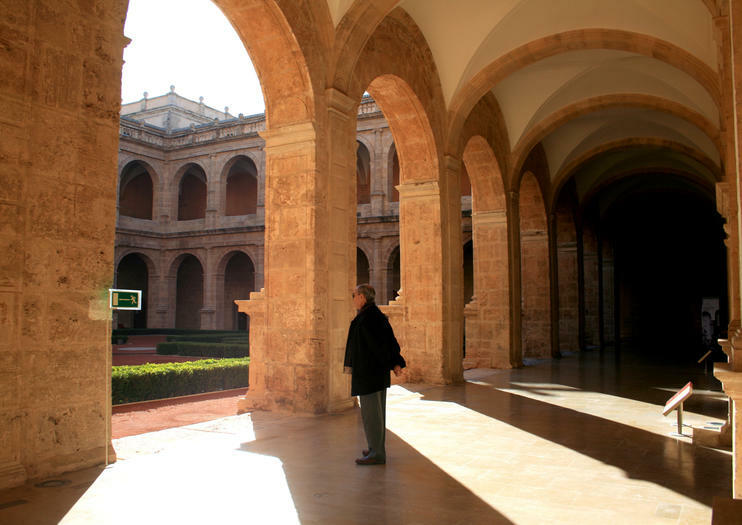 That’s because this biblioteca is also known as the Monastery of San Miguel de los Reyes, a complex erected in the 16th century, and which -- with just one glimpse at the structure -- is far more than just a place for archiving books and documents. Built by the Duke of Calabria, the once-monastery sits on the site of a former abbey, and before that even a mosque. And what a complex it is, complete with a two-towered Renaissance façade, beyond which you will find a proper church, and two courtyards; one surrounded by arcaded galleries, the other unfinished and gallery-less. The exterior alone is a commanding site, reminiscent of El Escorial Monastery near Madrid. Until the late 1800s, the building continued as a monastery, but then became a prison, and finally the library you see today. And while it is called a library, it’s not the kind where you can go peruse and even borrow books, but instead a place where important documents are archived, and therefore meant only for researchers.